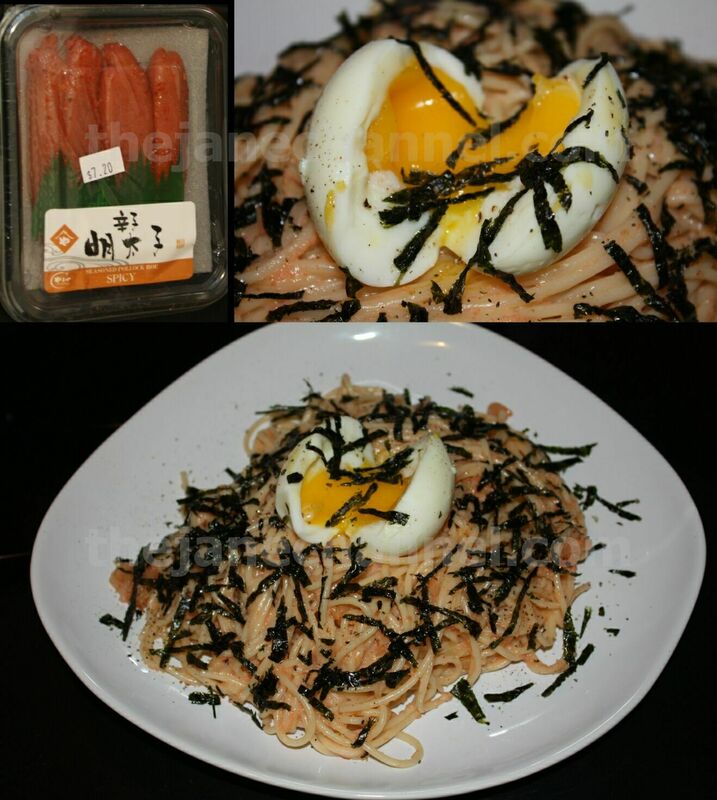 In NY, there are a few Japanese Italian restaurant that serve Spicy Mentaiko Pasta, but I love to make this at home so I can add extra mentaiko with an extra large onsen egg. My favorite pasta of all time and it’s so easy to make!! Using a spoon, scrap out the roe. Heat butter in microwave until melted and let it cool down. In a bowl, mix butter with spicy roe and onions. Add the spagetti to the bowl and mix with roe. Sprinkle nori and add onsen egg on top! The standard recipe would be to boil the egg at 158 to 167 degree F for 30 to 45 minute with dashi and other ingredients. But here is a simpler way to do this in 9 minutes. Place extra large egg with cold tap water in pot, with enough water covering the entire egg if you’re using a smaller pot, or covering half the egg if using a larger pot. Note: This requires experimentation due to the variables – strength of the stove, pot size, egg size, temperature of tap water. Basically you want to keep everything constant except the cooking time until you get it right. Have fun! !